I didn’t get much quilt work done yesterday. It was a rainy, cloudy, dark day. My overhead lights wouldn’t come on so the studio was very dark all day. I have trouble with the lights every time it rains. The electrician can’t be here until next week to replace the lights and check out the wiring. I started the piecing on a custom t-shirt quilt. I got tired of working in the dark so I tried to figure out what is wrong with my computer. This takes up hours of time! I still haven’t figured out why it tells me I’m out of memory when I try to update the adobe reader and real time player. I ran virus scans, I deleted unused things, I deleted a ton of photos, I searched for overly large files…..I still can’t figure it out. Every once in a while I get this ‘ding, ding’ sound for no apparent reason. It’s the sound I usually get when I turn on the printer or turn it off. I won’t be able to take the computer to the puter doc for a few more days. In the meantime I use it the best I can…slow and all. I suspect a part of the computer problem may be the same problem I’m having with the overhead lights. I’ll ask the electrician to check the outlet my computer is plugged into to see if it is bad. Well, I can’t quilt right now because of the lights so I think I will start cleaning in a part of the house where I do have lights. At least I can get something done. 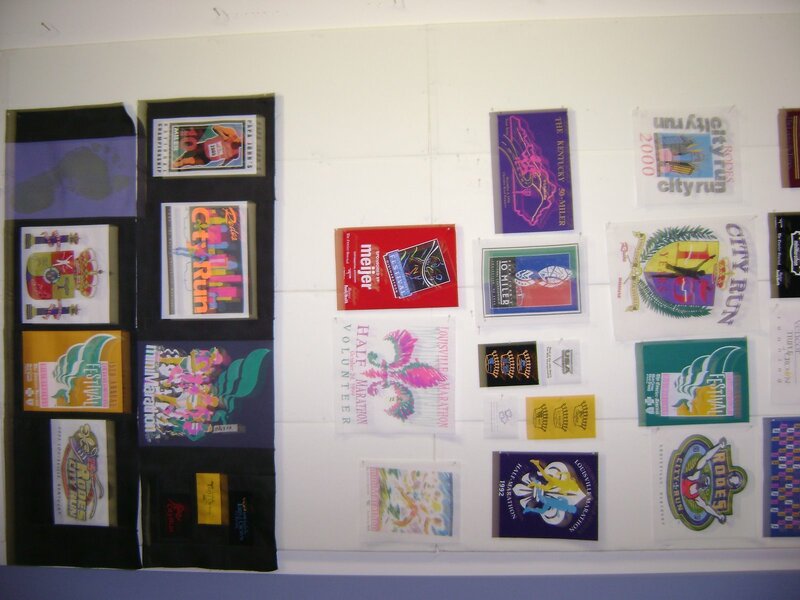 This entry was posted on November 15, 2007 by Anita in Memory quilts 2007, QUILTS - CLOTHING AND T-SHIRTS.